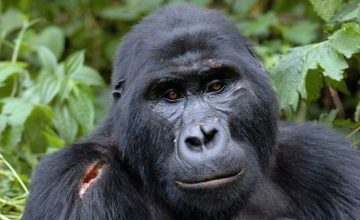 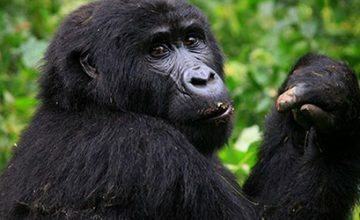 The 5 days Uganda Gorilla Trek and Chimpanzee Trekking safari will start and ends in Kampala.You will first tour in Kibale because that it is one of Uganda’s enchanting forested parks having 766 km2 with the highest density of wild chimpanzees that enable chimpanzee tracking activity to occur. 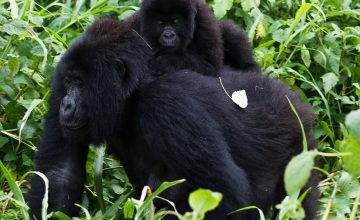 There are local community tours, Guided nature walks around the park plus birding at the Bigodi Birding Sanctuary.From Kibale, you will be taken to Bwindi Impenetrable Forest in the West of Uganda where trekking the harmed mountain gorillas will occur. 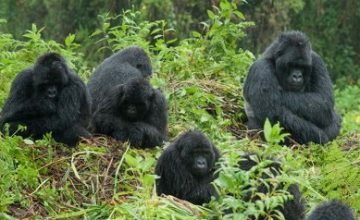 The Terrain is very muddy, hilly and can involve scrambling through dense vegetation in search of magnificent mountain gorillas thus an amazing wildlife experience. 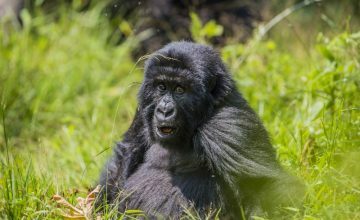 Accommodation: Ndali lodge or Primates Lodge where you will creeb on a full board basis prior to the following day’s chimpanzee tracking. 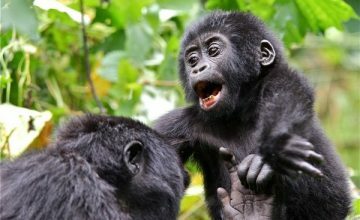 you will be taken to Kanyanchu headquarters for briefing after break fast before you proceed for our chimpanzee tracking and other primates like Red-tailed, grey cheeked Mangabey Red-Colobus and phoestes,. 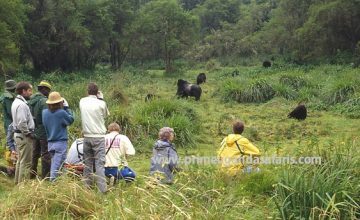 You will walk through the forest with an experienced guide who will be enlightening you about both animals and plants. 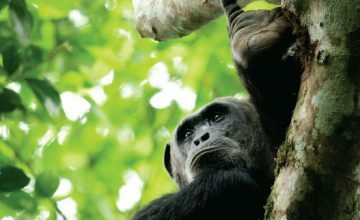 Tracking the noisy chimpanzee families racing through this luxuriant forest is a wonderful experience. 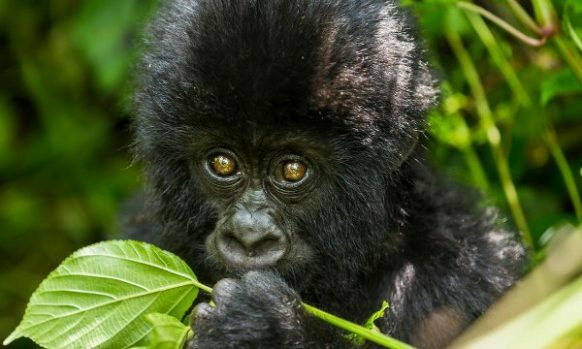 You have lunch at Tinka’s place where Traditional dishes are prepared for tourists to feel the taste of Uganda culture.You will have a Bigodi Swamp walk in bid to view the birds and monkeys that inhabit the swamp after lunch. 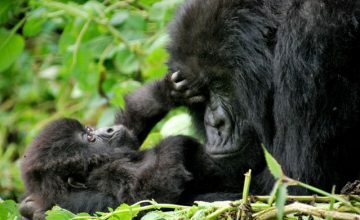 Accommodation: Dinner and overnight at Ndali lodge or Primates Lodge (FB). 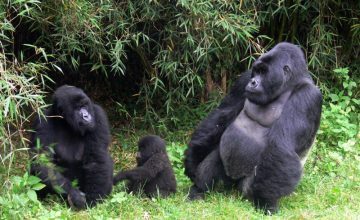 After morning breakfast, you will proceed for gorilla trekking the major tourist activity in the park with packed lunch along side an experienced guide. 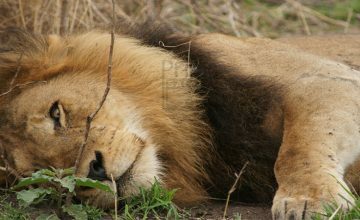 The trek may seem to be tiresome but enjoyable. 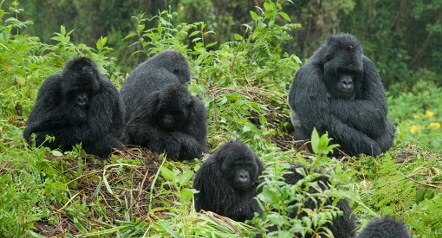 Your encounter with the great primates gives a good description of trekking. 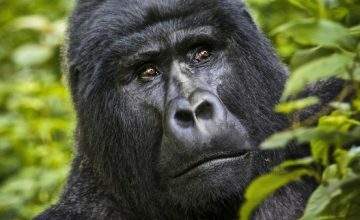 You will realize the forest sound as you see various forest Flora and fauna. 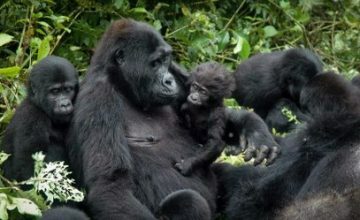 Accommodation: Overnight at Gorilla Resort or Buhoma Community Bandas (Full Board). 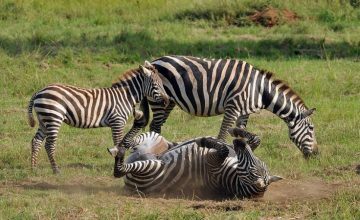 You will take early morning breakfast as you prepare to head back to Kampala.